Download and print a PDF version of this guide. For more than 15 years, Access has developed electronic forms management solutions that eliminate the unnecessary expense, risk, and inefficiency of paper forms. Our 100-percent paperless technology enables organizations in any industry to capture, manage, sign and share forms data without printing or scanning. To help our partner The Last Well bring clean water to every man, woman, and child in Liberia by the end of 2020, we’re going to fund a well on behalf of those who visit our HIMSS booth. Stop by to see how a real water pump works and learn from The Last Well founder Todd Phillips. If you’d like to support the cause, visit www.thelastwell.org. Advisory Board will be participating in the Interoperability Showcase, demonstrating how to coordinate patient communication and care to maintain patient relationships throughout the entire continuum of care. Come learn how hospitals and health systems use insights and analytics to find opportunities for brand advantage through patient experience. Agfa HealthCare, present in one hospital out of two, is a leading provider of eHealth and digital imaging solutions. Care organizations in more than 100 countries rely on Agfa HealthCare to optimize their efficiency and improve patient care. With its deep experience in interoperability, Agfa HealthCare has developed a range of solutions to meet the needs of the modern, value-based care healthcare enterprise. The platform approach to medical image management enables the health system to reduce it’s IT infrastructure and resources, while maximizing the value of images and documents across the continuum of care. At HIMSS17, attendees can learn more about Enterprise Imaging Solutions, which include Enterprise Imaging Vendor-Neutral Archive, Enterprise Imaging Exchange, XERO universal image viewer, and more. The platform includes standardized Departmental Workflows, which allow all image-producing service lines to capture and associate multimedia imaging studies with an episode of care. Stop by our booth and take the Aprima Stopwatch Challenge! Explore our Data Gallery — including brand new data visualizations this year! Ask John Halamka, MD, your questions on digital health on Tuesday at 4pm, followed by a cocktail hour. Dr. Halamka just joined the Arcadia Advisor Network. Discuss “Six Ways Data Quality Issues Erode Trust … and Five Fixes” with Principal Data Scientist Michael Simon. Learn about the importance of deep, high-quality EHR data to achieve an ROI in value-based care – and how to improve data quality without overwhelming your physicians. Pick up the “most useful handout ever” at last year’s HIMSS (according to HIStalk) either at our booth or at HIStalk’s (4845). Enjoy wine, beer, and appetizers at our booth each evening at 4:30pm, and meet our clients. Q&A with Patrick Charmel, CEO of Griffin Hospital and co-author of “Putting Patients First: Best Practices in Patient-Centered Care” on Tuesday at 10am. Learn how AMITA Health and Arcadia have partnered to take on risk for nearly 20 years in an informal Q&A on Wednesday at 2:30pm. Visit the AssessURhealth booth, 223, to see a product demo; explore our interactive tablets; enjoy coffee or cocktails at select limited seating sessions with the 18th US Surgeon General, Regina Benjamin, MD; see our giant brain (we’re serious, we’ll have one); and discover how to gain substantial new revenue! AssessURhealth empowers clinicians by providing the tools and resources needed to positively impact the identification, treatment, and awareness of mental and behavioral health while adding new revenue. Caradigm is an award-winning population health company dedicated to improving patient care, advancing the health of populations, and reducing healthcare costs. Its enterprise software portfolio encompasses all capabilities critical to delivering effective population health management including data control, healthcare analytics, care coordination and management, and wellness and patient engagement. Caradigm’s 200+ customers include Greenville Health System, Virtua and other large integrated delivery networks; ACOs; academic medical centers; government facilities; and community hospitals. Caradigm solutions are operating in more than 1,500 hospitals worldwide, and connect to about 500 customer systems, and to data for more than 175 million patients. In addition, its identity and access management solutions are employed daily by over 1.2 million users, ensuring patient privacy and security by safeguarding access to patient health information. For more information, visit www.caradigm.com. Carevive Systems provides personalized and dynamic cancer care plans for patients that improve clinical outcomes and enable oncology practices to operate in emerging value-based models. Our care plans continuously update to provide ongoing guidance to patients based on their experiences throughout the journey. This process allows us to collect longitudinal Real-World Evidence (RWE) on the cancer patient experience that will drive better care delivery, and oncolytic drug use and future development. The company’s automated software enables each patient to receive his or her own unique, personalized care plans that can be customized and edited by oncology physicians and nurses at each clinic visit, in a way that is not possible with either EHRs or care management software. To develop our care plans, our software generates automated, personalized symptom assessment and management guidance based on individual patient diagnosis, treatment, and risk. Carevive’s patient care plans and associated tools for clinicians facilitate patient-centered, coordinated, and integrated multi-disciplinary cancer care — all of which are concepts proven to decrease costs, and improve clinical outcomes and patient satisfaction. When people and data work in harmony, a real, positive impact can be made on the health of individuals and populations. Casenet is a leading provider of enterprise population health and care management solutions. Casenet’s platform automates workflows, integrates member-centric information, improves care coordination, and enables regulatory compliance reporting. Our solutions are proven to drive positive outcomes and to enable clients to adapt to market changes while driving down costs. Contact us at www.casenetllc.com or info@casenetllc.com for more information. Seven of the 10 largest integrated healthcare systems. Four of the five largest not-for-profit health systems. Nine of the top 10 children’s hospitals. Hundreds of community-based health systems. Leading organizations in healthcare services. Founded in 2007, Clinical Architecture has become the leading provider of innovative healthcare solutions focused on the quality and usability of clinical information. Our customers include leading provider organizations and IDNs; EMR/EHR, population health, and analytics application vendors; pharma and life sciences companies; HIEs; content publishers; and the payer community. Our healthcare terminology platform comprehensively addresses the acquisition, management, distribution and utilization of terminologies, unstructured text, and clinical knowledge enabling our clients to overcome industry gaps in interoperability, decision support, and analytics. CCSI is a high-tech leader in perinatal healthcare. Some of the largest hospitals across the country utilize its comprehensive, computerized OBIX Perinatal Data Systems for centralized, bedside, and remote fetal electronic monitoring. Come discover how the benefits of the OBIX system extend beyond the labor and delivery department. We welcome conversations with leadership team members seeking cost-savings methods and positive patient feedback. Our representatives can explain how the system can be deployed using your existing infrastructure, and demonstrate the system’s intuitive design and ease of use. Rest assured, we work side-by-side with customers throughout planning, implementation, education, and system go-live. Visit booth 922 and see how meaningful integration enhances clinical workflow. CloudWave is a full-service cloud services provider and solutions integrator for healthcare. In addition to implementing private cloud solutions consisting of on-premise hardware and software, CloudWave delivers technology consulting services as well as hosting, disaster recovery, archiving, and systems management services via our OpSus Healthcare Cloud. Come join us for a cup of coffee in booth 3191 to discuss how we can help you with your journey to the cloud. 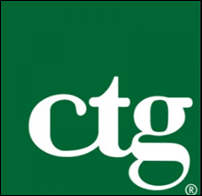 CTG is the most reliable IT services provider, built on more than 50 years of meeting our commitments to make technology work for our clients and deliver real business value. We provide advisory, implementation/upgrade, optimization and performance improvement, enterprise information management, application management, patient portal/clinical service desk, and strategic staffing services. Stop by the CTG booth, 1223, to learn why reliability matters and have a chance to win an Amazon Echo or a drone. Catalyze is now Datica and you can find us on the convention floor at booth 8152. Schedule a meeting at the Datica booth (near the Intelligent Health Pavilion), and you’ll be treated to a hot cup of Portland coffee, flown in and brewed especially for you. Let’s discuss healthcare partnerships, integrations, managed HIPAA-compliant hosting, and the “why” of the company rebrand. Schedule a meeting now at hello@datica.com. Definitive Healthcare is the leading provider of data and intelligence on hospitals, physicians, and other healthcare providers. Definitive Healthcare’s data provides clients with the analytics and insight needed to effectively segment and research the healthcare provider market. Diameter Health improves patient safety and optimizes patient care and operational performance by de-duplicating, cleaning, aggregating, and enhancing complex clinical data across the care continuum. Our scalable and cost-effective platform empowers organizations that depend on multi-sourced data streams – HIEs, ACOs, health systems, and health plans – to realize greater value from data used for managing population health and value-based care. Visit us at the HIMSS Interoperability Showcase as we collaborate with Caradigm, Cerner, Medhost, and Qvera in demonstrating how interoperability improves the care provided to a patient living with diabetes. Diameter Health technology is used to visualize a consolidated clinical view of the patient, as well as report on pertinent clinical quality measures. Whether you’re an IT professional searching for that perfect opportunity or a client company looking for the very best IT talent you can trust, rely on DCA to help meet your goals. DrFirst has pioneered healthcare technology solutions that inform the provider-patient point of encounter, optimizing provider access to patient information, enhancing the provider’s clinical view of the patient, and improving care delivery and clinical outcomes. DrFirst’s growth is driven by a commitment to innovation, security, and reliability across a wide array of services, including electronic prescribing, medication management, medication adherence, secure messaging, and care collaboration. We are proud of our track record of service to more than 330 EHR/HIS vendors and an extensive network of providers, hospitals, and patients. For more information, please visit www.drfirst.com or connect with us @DrFirst. For over 25 years, ESD has been providing implementation support services to healthcare systems across North America through our network of 10,000+ clinical and healthcare IT experts. Our full-cycle implementation support model assists in all stages of the transition – including training, build, configuration, project management, automated testing, go-live support, and optimization, as well as providing staff augmentation, on-shore clinical service desk, and patient portal help desk services. If you are preparing for an upgrade, switching to a new EHR or needing to optimize your current system, stop by our booth to learn how we can make the transition as seamless as possible. Stop by booth 3985 to enter to win one of three Amazon Echos, and discuss how your organization can improve the healthcare experience through more personalized interactions by integrating data into a centralized engagement hub. Main themes for FDB would be tackling medication alert management to enhance CDS; addressing the lack of standardized and often incomplete information about medical devices in HIT systems to improve operational, financial, and clinical decisions; and helping hospital organizations improve patient medication adherence that also leads to improved HCAHPS scores and reduced readmissions. Learn more about the launch of our medical device knowledge platform (FDB Prizm) that will be of interest to information system vendors and providers on the supply chain and clinical side – both in our booth and in the Intelligent Health Pavilion. On Tuesday, February 21, from 1-1:20pm, Henrik Bacho, senior product manager for FDB Prizm, will speak about how to improve OR workflow with our new medical device knowledge platform. Learn more about new enhancements to our FDB AlertSpace alert management and customization solution that includes business analytics capabilities. Learn more about how Meducation’s simplified patient medication instructions are now integrated with Epic, Cerner, Allscripts, Meditech, and Athenahealth. Also, hospital-based attendees can come by the booth and receive a customized ROI for their hospital institution based on improving value-based purchasing through HCAHPS scores and reducing readmission penalties. We have a Hearst Health network interactive, five-question, multiple-choice healthcare quiz where participants can “earn” a $10 donation to the National Patient Safety Foundation for each correct answer. Giveaway: We are serving gourmet coffee and giving away coffee travel mugs, as we’ve done over the past several years. With 25 years exclusively focused on healthcare needs and over 1,000 hospital clients, FormFast is recognized as the industry leader in electronic forms and document workflow technology. FormFast’s enterprise software platform integrates with EHRs and other core systems to automate required documents, capturing data and accelerating workflows associated with them. By using FormFast, healthcare organizations achieve new levels of standardization and operational efficiency, allowing them to focus on their core mission – delivering quality care. FormFast’s theme for the leading health IT event is “Bringing Document Workflow Up to Speed,” highlighting the speed, agility, and efficiency FormFast’s solutions bring to critical processes across the care continuum. Featuring seamless integration, FormFast enhances EHRs and other core systems, and accelerates the completion of necessary documents by streamlining the processes surrounding them. With FormFast’s document workflow solutions, healthcare organizations experience improved cost and operational efficiencies, clinical outcomes, compliance, and patient engagement. FormFast Connect: Allows patients to complete forms and task checklists beyond hospital walls from the convenience of their personal device or computer. This helps the patient navigate their care journey pre-admissions or post-discharge, while giving providers the real-time information they need to deliver a higher quality of care and enhance patient engagement. FormFast Capture: Offers best-in-class electronic forms and capture technology to help digitize point-of-care checklists, care guidelines, rounding, informed consents, and ancillary care documents – not addressed by the EHR. FormFast Mobile Bedside Consents: An integrated eConsent solution that presents the correct documentation for patient signatures on mobile devices at the bedside. Upon completion, consents are archived to the EHR and instantly visible to the care team. Cash for Dash Charity: By getting a glimpse into the capabilities FormFast’s solutions bring to healthcare organizations through a quick solution demo, booth visitors will get a chance to spin a virtual prize wheel for a chance to win up to $500. With each spin, FormFast will match the prized amount to the American Heart Association. Forward Health Group’s population health measurement platforms and data strategies drive success in the move to value. Visit booth 510 to elevate your data! Forward Health Group’s Data Elevation makes population health easy. Measure quality. Motivate clinicians. Maximize incentives. Population Health Without the Wait. Harris Healthcare brings together “The Brightest Solutions Under One Umbrella” and we’re inviting the brightest minds in health and IT to experience the difference at HIMSS 2017. Speak with clients in our booth, 3961, to get the low-down on real-world applications and integration among our products. Hunterdon Healthcare System’s IT and clinical IT leadership team will be on site Tuesday, February 21 from 4-5pm to share their experiences and their approach to solving the healthcare IT challenges of a community-based integrated delivery system. We will have multiple demo stations available, allowing you to take a peek at each of our available products. Visit our booth each day for a chance to win high-end sunglasses from brands like Ray-ban, Chanel, Oakley, and Maui Jim. Multiple chances to win by visiting booth 3961 each day. HBI offers a proven suite of predictive analytics and performance analysis tools, both easy to use and easy to install into any healthcare IT system. Our Spotlight Data Solution uses real-time EHR data, billing, claims and public data sources to provide real-time risk predictions for patients and populations. Spotlight’s predictive models also use built-in natural language processing to include unstructured data types like visit notes. Our wide range of disease and event-based predictive models are published in peer-reviewed research journals and in production on over 20 million patients. Customers include health systems, physician practices, FQHCs, ACOs, payers, HIEs, and technology vendors. Stop by booth 6179, kiosk 2 for a demo of our solution or to chat with some of our executives and customers. For more information, visit www.hbisolutions.com. Healthcare Growth Partners is an exceptionally experienced transaction and strategic advisory firm exclusively focused on the transformational health IT market. We unlock value for our clients through our Sell-Side Advisory, Buy-Side Advisory, Capital Advisory, and Pre-Transaction Growth Strategy services, functioning as exclusive advisor to over 90 health IT transactions representing over $2 billion in value since 2007. HealthCast has some big plans for the near future – come see how our innovations have led us to create so many award-winning solutions. We’ll be giving away one brand new Microsoft Surface Pro 4 after each of our six presentations. Stop by booth 686 for your chance to win! Health Catalyst is an award-winning, mission-driven data warehousing, analytics and outcomes-improvement company that helps healthcare organizations of all sizes improve clinical, financial, and operational outcomes needed to improve population health and accountable care. Stop by booth 5173 to see a live demo of one of our many analytics applications, or hear about any of our 100+ client success stories. We’ve got the usual event swag to take home to your kids, too! You can read more about our clients’ successes here: www.healthcatalyst.com. Did you know that your next strategic hire is a bird? Charlie the Healthfinch works seamlessly within your EHR to simplify, delegate, and automate routine, repeatable clinical tasks. Charlie swoops in to handle jobs like prescription refill requests, pre-visit planning, and more. Come meet Charlie and his team of humans at booth 994. We’ll have a small number of limited-edition Charlie plushies to give away, and we’ll also offer a special HIMSS discount on your first month subscription to Charlie if you schedule a demo time with us. See you soon at booth 994! Healthlink Advisors is a healthcare consulting firm whose mission is to improve healthcare delivery and IT operations. Our work focuses on management consulting, IT strategy and finance, vendor selection and negotiation, and forecasting. From academic medical centers to integrated delivery networks to community-based hospitals, we serve both investor-owned and community-owned organizations. Our team is comprised of experienced healthcare professionals who have been individually selected to be a part of our team. As a consulting firm, we are defined by our people, their actions, and the quality of the work we produce. As a company, we are defined by our values and our broader purpose. We firmly believe we must create a company that is socially responsible, fun, and focused on fulfilling our purpose of improving healthcare delivery. Our purpose is pursued not just through engagements but also through our work in the community and helping each other. Ask about our cocktail hour at HIMSS. HealthLoop empowers tens of thousands of patients every day with the right information at the right time, before admission and weeks after discharge, guiding them until they are fully recovered. By automatically sending notifications to patients to ‘Check In,’ HealthLoop remotely monitors all of your patients and identifies the patients that need help, allowing clinical teams to proactively intervene before costs and complications escalate. Developed as an enterprise solution to support all clinical specialties, HealthLoop’s content and analytics are deeply integrated into your care management workflows. Especially useful under new bundled reimbursement models, HealthLoop facilitates effortless PRO collection, helping you earn back financial bonuses for meeting or beating quality metrics. Better understand how to scale clinical adoption of patient engagement technology and the ease and speed with which it can be implemented. Explore ways to use analytics to identify at-risk patients in real time before complications result in adverse outcomes and elevated, post-acute care costs. Review validated results across thousands of patients that will show the impact of engaged and satisfied patients on improved quality and collection of PROs. Stop by Healthwise booth #1523 to discover how to make every moment in care matter. Our demo stations for Point of Care, Care Coordination, Digital & Web Experiences, and Care Transformation will showcase how you can engage patients with consistent, evidence-based health education for improved outcomes, increased satisfaction, and lower costs. 4 Health IT Sessions You Can’t Miss at HIMSS 2017 Come visit us at booth 3631 to learn how we’re working with our clients to solve their most pressing business problems with the leading healthcare technologies. Huron is a global professional services firm assisting clients with complex issues by delivering high-value, quality solutions to support long-term strategic objectives. Huron’s healthcare practice specializes in strategic direction setting, clinical transformation, financial and operational excellence, technology implementation and optimization, and patient and caregiver engagement. Huron has served more than 450 health systems, with over 1,400 specialists and experienced consultants dedicated to the healthcare industry including a leadership team that brings more than 25 years of healthcare and consulting experience. In August 2016, HSM Consulting became part of Huron. This acquisition has strengthened Huron’s IT/EHR consulting services, adding deep expertise in Meditech, Cerner, Allscripts, and NextGen. Together, Huron and HSM improve their ability to help healthcare providers implement and optimize technologies to improve quality, cost of care, and better manage patient populations. Take control over your most challenging 2017 healthcare IT issues. Join us at the Iatric Systems booth to discuss how you can stay ahead of the constantly changing healthcare IT environment. Iatric Systems will deliver many products and services that will optimize EHRs, monitor patient privacy, help manage vendor risk, ensure data is available to folks that need it – when they need it, help providers make sense of various data, increase patient safety, improve workflows, and augment staffs that need expert help – and more! Promotions/Giveaways – Fresh off his national TV appearance on Penn & Tellers ‘Fool Us’, two time US Champion Trick Shot pool player Chef Anton is back! See the master at work! After every show, he will give away a $25, $50, or $100 Amazon gift card. Participate in our social media promotion and be entered to win not just one, but TWO Amazon Dots – today’s hottest tech for home or office. Make sure a stop at Infor booth 2147 is on your HIMSS17 agenda. Infor Healthcare can offer you a single-system solution in the cloud, bringing clinical and operational data together. We understand that healthcare providers like you need a sophisticated solution that helps you react quickly, intelligently, and personally to every patient interaction in order to achieve better outcomes and lower costs while also making the best operational, financial, and clinical decisions. Our micro-vertical solutions give you comprehensive functionality that allows you to put the patient at the center of your strategy. Schedule a 1:1 demonstration from these solutions – Care Solutions/WFM/Human Capital Management/Talent Management/Talent Science/Infor CloudSuite Financials & Supply Management/Infor Cloverleaf Integration Suite/Infor Cloverleaf Clinical Exchange/BI and Analytics for Healthcare/Physician Relationship Management/Infor CloudSuite Clinical. Schedule a live demo or one-on-one meeting to see the software in action. If you would like to schedule a live demo, please email healthcare@infor.com, or access the registration link directly at http://bit.ly/infordemos. IMO is the developer of the most widely-accepted medical terminology solution for the management of medical vocabularies and software applications at healthcare organizations worldwide. IMO terminology is used by more than 3,500 hospitals and 450,000 physicians daily, and this trusted terminology platform supports innovations by provider systems. IMO medical vocabulary and mapping products effectively capture clinical intent and help EMRs preserve and communicate this across the entire spectrum of care. IMO clinical terms are mapped to all standard coding systems including ICD-9, ICD-10, and SNOMED. The accuracy of IMO’s interface terminology was found to be “nearly perfect” in an independent study published by the US Centers for Disease Control. Stop by booth 4651 after 4 p.m. on Monday and Tuesday to enjoy a glass of wine, and take a short survey to get a cool IMO t-shirt. Giveaway this is a Wine Tumbler, while supplies last. Ivenix is a venture-backed medical technology company with a vision to transform infusion therapy in every care setting. Technology within the infusion pump category has been slow to evolve despite an increase in the complexity of drug dosing regimens, demand for hospital EHR integration, and persistent patient safety issues. Ivenix is focused on bringing its first solution to market – a new and innovative infusion management system for hospitals. Ivenix will participate in a connected demonstration at the Interoperability Showcase. The Ivenix Infusion Management System will be featured with leading EHRs and alarm management systems in a live demonstration of auto programming of patient-specific infusion orders, auto documentation of infusion data, and communication of alarm status to mobile devices. 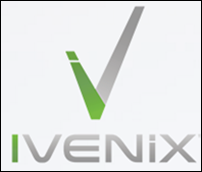 Ivenix will also participate in the new Product Marketplace demonstration area within the Showcase. Sue Niemeier, RN, CNO, will present “Strategies in Making the Journey to Smart Pump BCMA-EMR Interoperability” during the Nursing Informatics Symposium poster session on Sunday, February 19. Kyruus delivers proven provider search and scheduling solutions that help hospitals and health systems match patients with the providers best suited to care for them. The ProviderMatch suite of solutions—for consumers, access centers, and referral networks—enables a consistent patient experience across multiple points of access, while aligning provider supply with patient demand. The company’s proprietary provider data management platform forms the foundation of its solutions, powering them with accurate data by coupling data processing with administrative applications. To find out why a Better Match Means Better Care, please visit www.kyruus.com or come visit us in booth 5045! We will have coffee and beer/wine available throughout the show (and get a pair of custom Kyruus socks!) Stop by to chat with our team and learn more about our enterprise-wide patient access solution. Running old applications just to get to the data? STOP – We need to talk! For organizations retiring or replacing healthcare systems, Legacy Data Access offers the industry’s most comprehensive set of software tools and solutions for working with data from retired systems. Our LegacySuite products provide comprehensive functionality for the storage, access, management, and reporting of the retired healthcare data. No time-consuming, labor intensive, and risk-filled data conversions are required. The data is seamlessly accessible in its original format, with no loss of detail or integrity. Please visit us to discuss how we have successfully retired 229 different healthcare applications – a total of 555 applications. Giveaways include ear buds, tote bags, and the best dark chocolate in the exhibit hall. Drop a card for a chance to win an Apple Watch or one of two Apple TVs. Do you feel like chaos is taking over? Shifting payment models, cyber threats, M&A activity. And in the face of all these challenges, you are still expected to improve patient outcomes while cutting costs. All of these objectives become more difficult when vital patient information is trapped in silos across the organization and inaccessible from your EHR. It’s time to take back control. Lexmark Healthcare can help. Our solutions uniquely deliver comprehensive information — medical images, documents, and clinical photos — in one view within your EHR. Healthcare Content Management: Lexmark Healthcare has brought together industry-leading technologies to create Healthcare Content Management (HCM) — a modular, enterprise strategy that allows you to securely capture, manage, view, and share vital information with the applications you use every day. With Lexmark HCM, you can make more informed decisions, future-proof your business, and maximize your technology investments. Lexmark HCM is comprised of vendor neutral archive, enterprise content management, enterprise viewing, process intelligence, and PACSGEAR connectivity. Schedule an appointment in HIMSS booth 1961 to experience the transformational power of Lexmark Healthcare. Lifepoint Informatics has been a trusted leader in healthcare IT for over 18 years, focusing on clinical integration, HIE, and data interoperability solutions for hospitals, hospital systems, and clinical laboratories. We offer vendor neutral data integration solutions that facilitate health information exchange, enable successful outreach connectivity, EHR integration, EHR interfacing, physician portal, and quality reporting among disparate clinical systems. Please stop by the Lifepoint Informatics booth, 5351, to learn about our newest interfacing methodologies, which enable us to setup connections faster, and more economically. Also, while at the booth, look for an energy boost as well as other unique items. Schedule and attend your 15-minute demo to be entered to win an Apple Watch, Bose noise-cancelling headphones, or a $150 Visa gift card. One prize drawn daily. Each 15-minute demonstration will highlight how Clinical Process Measurement solutions from LogicStream are delivering self-service access to information operational stakeholders throughout health systems that need to improve quality and reduce the cost of healthcare. The three disciplines of Clinical Process Measurement include Standardizing Processes, Measuring Adoption, and Improving Outcomes. Creating Time to Care with M*Modal. Stop by booth 1043 and enter to win a Google Home. MedData is a leading national provider of technology-enabled healthcare solutions designed to help physicians and hospitals better engage patients throughout the entire healthcare continuum. The MedData suite of solutions includes a range of patient access and communications; RCM; and consulting and analytics services including billing and coding, patient responsibility, eligibility and disability, complex A/R services (such as workers compensation, out-of-state, and more), and mobile-first engagement and communication software for patients and providers. For more than 36 years, we’ve been committed to delivering industry-leading and patient-focused RCM solutions to our growing network of more than 2,000 hospital sites nationwide. HIMSS GIVEAWAYS: Freshly baked scones. Medicity builds complete, ubiquitous, and indispensable networks that power clinically connected communities and empower population health. The Medicity Network provides the data foundation and integrated workflow solutions to enable today’s population health management objectives, including timely clinician engagement, improved transitions of care, reduction in duplicative services, and the opportunity for patients to take an active role in their personal health. Medicomp Systems, a physician-driven provider of clinically contextual patient data solutions, will be exhibiting at booth 2303. At HIMSS17, Medicomp is launching Quippe Clinical Lens, the company’s newest point-of-care decision support tool. The new solution delivers physicians optimized EMR data that is easy to digest and promotes new levels of clinical insights. Long-time Medicomp partner Meridian Medical Management, an industry leader in physician technology, revenue cycle, and analytics, is joining Medicomp at this week’s HIMSS17 Conference & Exhibition in Orlando to demonstrate Quippe and the new Quippe Clinical Lens functionality. Quippe Clinical Lens is a web-based application that can be added to any electronic health record (EHR) or health information exchange (HIE) system to make sense of data from multiple encounters across systems. It is the latest addition to the Quippe suite of solutions, which uniquely delivers longitudinal patient information within a problem-oriented clinical view, mirroring the way physicians think and work to drive optimal patient outcomes. Attendees are also invited to Medicomp’s Quippe Virtual Experience Game at HIMSS17. The game illustrates how Quippe Clinical Solutions enable physicians to make better, faster decisions at the point of care, streamline documentation and ensure regulatory compliance. It also shows how Quippe easily integrates with any existing HIS system—and helps physicians to see up to 25% more patients. Play the game to experience the Quippe difference and to win a real-life dream cruise each day of HIMSS17. The cruise winners will be announced at 4 p.m. on Monday and Tuesday and 3 p.m. on Wednesday. Attendees must be present to win. Be sure to visit Meditech at booth 3279, and see why there is so much buzz surrounding our innovative, physician-designed Web EHR. Hear why this contemporary, modern, and transformational EHR is driving the new generation of EHR leaders in the market to move forward with Meditech’s latest release. In addition to the Web EHR, come see the latest solutions Meditech offers for improving patient engagement, RCM, telehealth, population health, and much more. You’ll also get to see clinicians demonstrating our solutions LIVE, showing how you can reclaim your productivity. Hear from industry experts in Meditech booth 3279, and learn who reduced A/R days by 50 percent, who surpassed patient portal adoption goals with a 60 percent usage rate, who obtained a 99-percent patient satisfaction rating, and more! National Decision Support Co. enables stakeholders in the healthcare process to deliver more efficient and appropriate care, improve population health, and save money. Variations and gaps in care delivery cost providers and patients billions of dollars annually, and result in life-threatening medical errors. NDSC’s CareSelect decision support platform enables the transition to value-based care and payment models, and risk-sharing payment models while reducing inconsistencies in patient care. The CareSelect platform converts published guidelines from credible, compliant content sources — covering diagnostic imaging, medication, lab, and care pathways — into actionable decision support criteria delivered directly into the EHR workflow. Feel free to stop by our booth, 3492, for a demo. Nordic is the world’s largest Epic consulting firm and a trusted advisor to healthcare systems, connecting strategy through to IT execution. At booth 903, we’ll have team members ready to talk with you about your needs in advisory services, Epic implementation, optimization, data and analytics, managed services, population health, and affiliate extension solutions. If you can’t make it to our booth, contact events@nordicwi.com and we’ll find a time to connect. Optimum Healthcare IT is a leading healthcare IT staffing and consulting services company based in Jacksonville Beach, Florida. Optimum provides world-class consulting services in advisory, implementation, training and activation, Community Connect, analytics, and managed services – supporting our client’s needs through the continuum of care. Our excellence in service is driven by a leadership team with more than 50 years of experience in providing expert healthcare staffing and consulting solutions to all types of organizations. We focus on four core competencies that dramatically affect healthcare processes and systems – EHR strategies, integration and interoperability consulting, information security consulting, and activation and go-live support. We listen to our clients first, and then our 18+ year-experienced consultants step in as the make-it-happen kind of people that deliver solutions for the challenges you face – ON TIME, ON TARGET, and ON BUDGET. We do project-based work as well as healthcare IT staffing – whatever your needs. Our leadership is available and attentive to our clients, keeping us nimble, responsive, and accessible. Our commitment to quality over quantity attracts the very best talent in healthcare IT, which results in projects with maximum achievement and minimum disruption and costs – and, ultimately, delighted clients. Come visit booth 1423 and see how 30 impactful minutes with us will change your IT consulting direction! PatientKeeper provides highly intuitive software that streamlines physician workflow to improve productivity and patient care. At HIMSS17, PatientKeeper will preview its new health IT innovation platform, which is intended to advance the use of computers by physicians and care teams, and make them indispensable tools for 21st century clinical care. PatientKeeper’s new platform integrates third-party apps and data from multiple EHRs, embeds advanced clinical decision support capabilities in a truly useful way, and provides an individualized experience for each user. For more information, visit patientkeeper.com/himss17. PatientKeeper will give away a Peloton exercise bike plus a one-year subscription to streamed studio cycling classes. Healthcare providers may enter the raffle at PatientKeeper’s booth (2333) at HIMSS17. The winning raffle ticket will be drawn at the booth on Tuesday afternoon, February 21. Stop by booth #815 to experience PatientTouch, the only care collaboration platform that unites clinical communications and critical workflows in one smartphone app. Secure messaging, voice, alerts, and nurse call are fully integrated with workflows including specimen collection, rounding, assessments, nursing documentation, and more, all in a single interface. Real-time patient and clinical context is available in-message and in-workflow to speed communication among assigned care team members, improve patient safety, and clinical outcomes. But don’t just take our word for it! Join us for a free Lunch and Learn panel on Wednesday 2/22 at 1 p.m. in W312B, above Hall C. Hear IT and Informatics leaders from CHRISTUS Trinity Mother Francis, Parkview Medical Center, and Onslow Memorial Hospital discuss how PatientTouch has increased care team efficiency and improved clinical outcomes by uniting communication with workflow in one easy-to-use application that their frontline care teams love. Space is limited, >” target=_blank>sign up today. PerfectServe Synchrony is an integrated system of secure communication services built on a single cloud-based architecture, which ensures secure messages are delivered to the right care team member at the right time across all care settings. Stop by booth 3315 for a 10-minute demonstration. Learn about the Phynd Unified Provider Management platform – the only on-demand, cloud-based, enterprise IT solution that eliminates the challenges and organizational inefficiencies caused by working with inaccurate provider data. Whether you are a clinically integrated network struggling to manage an exploding quantity of provider data, or you need to improve the effectiveness of your online provider search capability, the Phynd UPM platform can help. In addition, don’t miss the following talk that will be given by Michael Meade from Orlando Health and our CEO Thomas White. Michael will share his perspective on their provider data management challenges and review how the Phynd UPM platform is helping. What is Disrupting Provider Data Management? February 21, 11:30am ET Innovation Zone, booth 7785, session ID: IZ19. Multi-stakeholder projects across many segments of healthcare. Rich directory of people in all segments to add perspective to projects. Experienced staff of consultants with diverse healthcare backgrounds. On the leading edge of the evolution of health care IT and its application to healthcare for 12 years. POCP practice leads will be available at HIMSS to discuss a broad range of health IT topics, including EHRs, ePrescribing, specialty pharmacy automation, ePrior authorization, clinical decision support/clinical messaging, real-world evidence/outcomes/analytics, population health management, HIE, biosimilars, medication therapy management, and long-term care. Please contact Tony Schueth to schedule an appointment or visit pocp.com to learn more. PokitDok provides a software development platform to free, secure, and unify business data across the entire continuum of care. Its 30 API endpoints facilitate eligibility checks, claims submissions, appointment scheduling, payment optimization, patient identity management, pharmacy benefits, and other business processes. These healthcare transactions that exchange business data can be quickly and easily integrated into any app, website, or service without requiring that providers or payers rip and replace legacy solutions or IT infrastructure. Healthcare organizations, digital health companies, and business process outsourcing providers use PokitDok to improve workflows, cut costs, and speed time to market. Qpid “content as a service” Intelligent Clinical Content optimizes Epic with a library of clinical concepts for intelligent search, problem list reporting, specialty views, and quality measure reporting. Qpid quality reporting software speeds workflows and finds more data to improve scores. EviCore CDS integrates into the ordering workflow with robust guidelines for the industry’s broadest set of clinical scenarios for radiology, cardiac imaging, and oncology. And the solution automates prior authorization where best practices guidelines are applied. EviCore is proud to sponsor a cross-stakeholder executive breakfast on how to lower the operational and financial burden of prior authorization on Tuesday, February 21. Join us! Spok will demonstrate the latest evolution of its integrated healthcare communications platform at HIMSS17. This release of Spok Care Connect offers new functionality for each solution area of the suite — clinical alerting, secure texting, and the hospital contact center console — to deliver smarter clinical communications that enable care teams to improve the delivery of patient care. Spok will have team members as well as several customers available to discuss the Spok Care Connect platform at HIMSS17 in booth 2671. Spok Care Connect will also be featured in the HIMSS Interoperability Showcase. Giveaways: HIMSS attendees can stop by the Spok booth for a chance to win an Apple Watch. We will have a drawing each day of the event. This year, Sunquest is showcasing our commitment to giving every patient the best chance at good health. On-site demos will highlight personalized, patient-centric care; end-to-end diagnostic informatics; and precise, targeted diagnoses and treatments. In addition, Sunquest is hosting a networking happy hour in booth 3551 on Monday, February 20, 4:30–6pm ET. Be sure to stop by to meet the Sunquest team and enjoy a refreshing cocktail or beverage! As a process transformation company, Sutherland rethinks and rebuilds processes for the digital age by combining the speed and insight of design thinking with the scale and accuracy of data analytics. We have been helping customers, across industries from financial services to healthcare, achieve greater agility through transformed and automated customer experiences for over 30 years. Headquartered in Rochester, NY, Sutherland employs over 38,000 professionals spanning 19 countries around the world. You can find us in multiple booths – MidasPlus, nVoq, IDS, and XIFIN. Engage the patient early, and connecting them with the best payment options. Maximize revenue and reduce collections costs. Stop by and enter our raffle for three Amazon Echos (one given away each day). Increased productivity. Happier employees. A better patient experience. These are benefits of using Versus RTLS to optimize your healthcare operations. Our solutions for multi-campus IDNs, single clinics, or small community hospitals include asset tracking, staff and patient workflow, smart hand hygiene, and accurate analytics. Our singular goal is to assist you in improving the delivery of care while enhancing the patient experience. Case in point – HIMSS session speaker Dan Hamilton, COO of Nor-Lea Hospital District, faced an explosion in patient volume, up 78 percent; wait times to see the physician became measured in hours; and satisfaction rates of both patients and staff went from the 90s to all-time lows. Hear how Hamilton’s journey of re-thinking his workflow resulted in optimized scheduling, resource utilization, and care delivery. Session #156: Using Data to Increase Capacity in Ambulatory Care. You’ll have many opportunities at HIMSS17 to learn how we pair our multi-platform, scalable approach with KLAS-leading location accuracy, software solutions, expert consulting, and implementation services to ensure your project’s success. We’re not just an RTLS vendor — we’re your partner for process improvement. Voalte develops smartphone solutions that simplify caregiver communication. As the only company to offer a comprehensive mobile communication strategy, Voalte enables care teams inside and outside the hospital to access and exchange information securely. Wellsoft, developer and provider of the industry-leading Emergency Department Information System, offers complete solutions for hospital and freestanding emergency centers. Wellsoft EDIS is Best in KLAS* and has ranked #1 in KLAS and MD Buyline user surveys of EDIS time and again. Providing solutions for freestanding emergency centers, enterprise-wide or single hospital implementations, Wellsoft is the specialist in Emergency Department Information Systems.